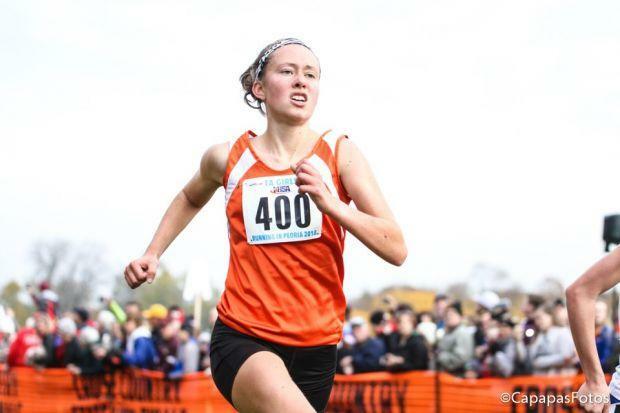 Maya Stovall, a senior at Macomb High School competes in Cross Country and Track. Find her covering meets mostly in West-Central Illinois. She wanted to be a Milesplit intern because she wanted to be more involved in the sports and gain experience in the journalism field. An animal that best describes her is a cat because she can be active and cool while spending a lot of time resting. According to Maya the best event in track and field is the Mile because it has many characteristics such as speed, distance, excitement, competitiveness, and drama. Her favorite sports teams are the Cubs, Western Illinois Women's basketball, Bosshard track women, and the Chicago Bulls. The food she enjoys most is tacos. According to Maya, the best running shoes are the Inov-8 cross training shoe and the best spikes are made by Saucony. When it comes to Android and iPhone, Maya is Team iPhone.